According to the American Blood Center, more than 40,000 pints of blood are needed daily across the United States. Whether the blood is required for a transfusion, a surgery, or a dire emergency, the goal is always the same: to save a life. On Friday, May 5, the class of 2018 answered this call with an overwhelming sense of generosity. Shortly after giving blood, juniors gathered at recovery tables to regain their strength. The annual junior blood drive, organized by the New York Blood Center, set up shop in the main gym. Over the course of the day, countless juniors headed to the gym, eager to donate. For many of the juniors, it was their first time donating blood. This did not stop them, however, as many students realized the necessity for blood donations on Long Island and stepped up to the plate. 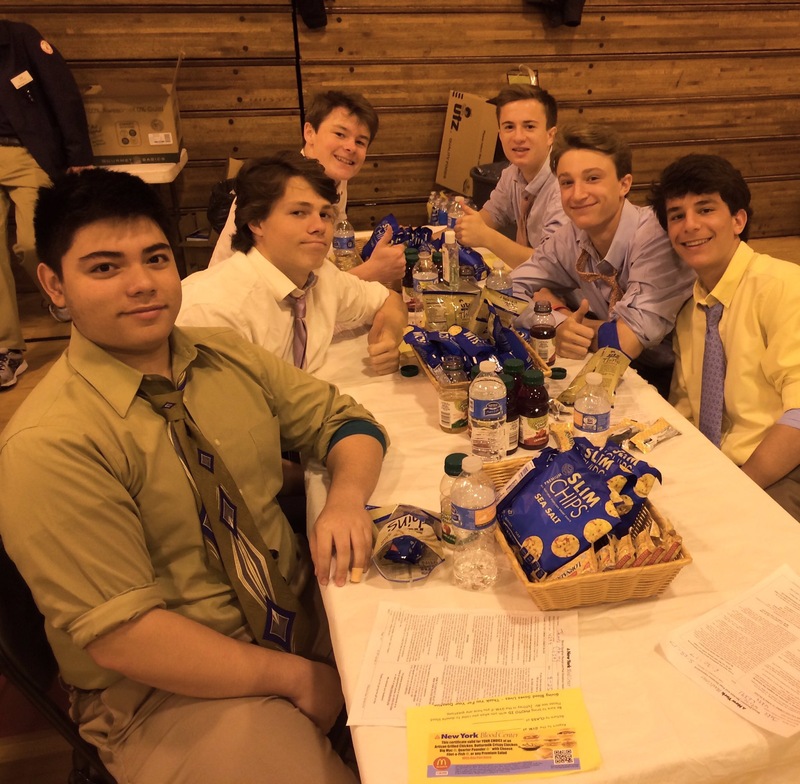 One donor, Tom Daly ’18, remarked, “Even though it doesn’t feel that great physically, I know it was worth it to help someone who could be saved.” Under the coordination of Mr. Vincent Jeffrey ’04 and Mr. Thomas Dillon ’92, the drive was immensely successful. All told, Chaminade juniors were able to donate 169 pints of blood to Long Island Blood Services. The class of 2018’s donations are guaranteed to assist those in need, given that the New York Blood Center provides blood for over 200 hospitals and medical establishments. As the senior class prepares to graduate, the blood drive has been one of the juniors’ first opportunities as leaders and role models in the school. Promoting the actions of the ideal Chaminade Man, the class of 2018 has provided those in need with the greatest gift of all, the gift of life. Posted in News and tagged blood drive. Bookmark the permalink.